Using our PokerStars Marketing Code enables you to activate the full bonus, along with access to $500 per month in exclusive tournaments and freerolls! We also offer various exclusive events throughout the year, so don’t forget to use the code FlopTurnRiver! 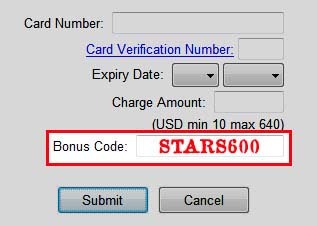 When making your first deposit, the PokerStars Bonus Code STARS600 will activate the $600 bonus, described below. The screen shot below is an example of how you should enter the code upon making a credit card deposit. Don’t forget to enter this code if you want to get up to $600 free! If you do happen to forget to use the bonus code, contact PokerStars at support@pokerstars.com within a 7 day period of making your first deposit and not only will the bonus be credited to your account, you will also get all the VPP points which you have earned during that time credited toward clearing your bonus! Make your first real money deposit using the bonus code “STARS600” (shown above) to receive one of the best first deposit bonuses in online poker! Making your first deposit with PokerStars gets you a 100% bonus up to $600 and you don’t even have to deposit the entire sum all at once! You can make up to three qualifying deposits in 60 days to claim the full value of the bonus. Use the “STARS600” when making each deposit. For example, you deposit $150, which gets you a matching $150 bonus, which you can start clearing immediately. Two weeks later, you can deposit $300 more, which will add another $300 to your total bonus amount and one month later, you can deposit another $150, which will get you to the maximum bonus amount. No matter the amount of the bonus, you will have to clear it by earning VPP points. Every 200 VPP’s you earn, your account will be credited with $10 increments of your total bonus. This means you need to collect a total of 12,000 VPPs to earn the full $600 bonus. If you make your first real money deposit in Euros, British Pounds or Canadian Dollars, you are also eligible for the same equivalent bonus in any of these currencies. If you do use a different currency, you can still use the PokerStars bonus code STARS600 on your deposit(s). Depositing in Euros can get you a maximum bonus of 100% up to €500, which is roughly equal to the same amount in US dollars. The clearance rate is 250 VPP’s for every €10, which means you need to collect a total of 12,500 VPPs. Depositing in British pounds can get you a maximum bonus of 100% up to £400, which is also roughly equal to the same amount in US dollars. The clearance rate is 300 VPP’s for every £10, which means you need to collect a total of 12,000 VPPs. Depositing in Canadian dollars can get you the same bonus as depositing in US dollars, 100% up to $600. The clearance rate is the same, 200 VPP’s for every $10, which means you need to collect a total of 12,000 VPPs. To clear your first deposit bonus, you have to play any real money games on PokerStars which earn you VPP points. Regardless of the bonus amount for which you have qualified, the bonus will be credited to your account in $10 increments. The amount of VPP’s you have to earn to receive each $10 increment depends on the currency in which you have made your deposit. VPPs are awarded at the rate of 5.5 VPPs per $1 in rake or tournament fees. Since you need 200 VPPs for $10 of the bonus, you will spend approximately $36 in rake for every $10 bonus you receive, which is a very nice return rate! The total 12,000 VPPs will require about $2,160 in rake. The right sidebar shows approximately how many hands it will take to clear the full $600 PokerStars bonus. It clears at a very nice rate compared to other rooms and PokerStars is definitely above the standard. For example, if $50 NL full ring is your game of choice it will take about 88,864 total hands. With the long 120 day expiration date, that comes out to a pace of ~740 hands per day, which is definitely attainable. It’s even possible to clear the bonus at $25NL if you put in the time. Add in the fact that it clears in increments, and it’s clear that PokerStars has one of the best bonuses out there. Since you have to pay about $2,160 in rake for the $600 PokerStars bonus, the overall cashback % comes out to 27.5%. This in itself is above average, but while clearing the bonus you will also earn 12,000 VPPs and approximately 24,750 FPPs. You should also be able to maintain at least GoldStar level, or even PlatinumStar. At PlatinumStar level your accumulated VPPs/FPPs will be worth about an extra $272 in Stellar Rewards and VIP bonuses, bringing the amount up to 40.37% cashback! This is a HUGE improvement and doesn’t even count other benefits of the VIP Club such as weekly and monthly VIP tournaments where you can earn thousands more! The PokerStars VIP Club is by far the best VIP program for any online poker website. The VIP Cub consists of 7 tiers, which allow players to gain access to ever greater rewards when moving up the tiers. All players start at BronzeStar, and if ambitious enough, can earn their way up to Supernova Elite which is worth over $100,000 by itself! For more information, including a break down of each level, see our in depth guide on the PokerStars VIP Club. 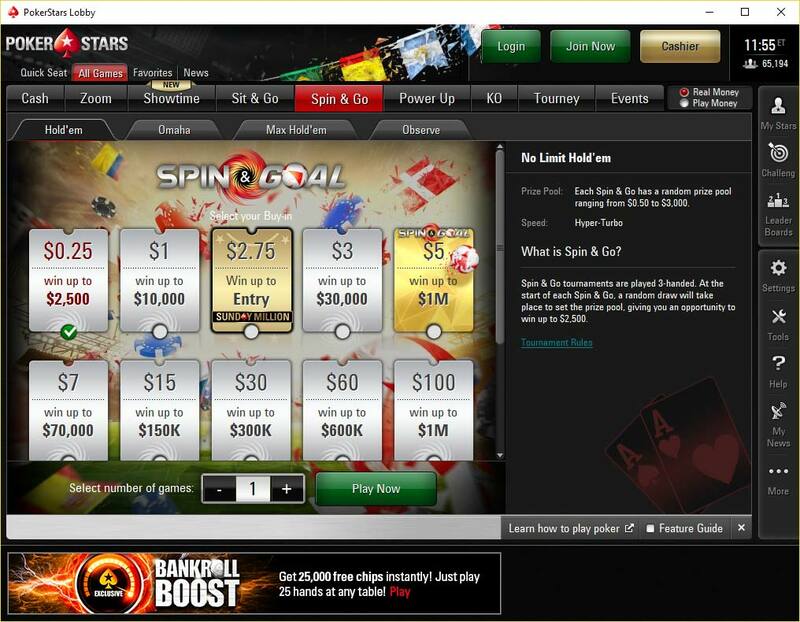 PokerStars is constantly adding new and exciting promotions. He is a look at some of their more popular ongoing promos and events. Along with its regular tournament schedule, PokerStars runs a series of major tournaments on Sunday. These tournaments attract the most players and the biggest prize pools in all of online poker, so if you love tournaments, you’ll love Sundays on PokerStars! Here is the list of all the major tournaments listed in starting order. Sunday always kicks off with a spark, The Sunday Spark, which is a 3X-Turbo tournament with a $1+R buy-in. The R means that it’s a rebuy tourney, and this one has an unlimited number of rebuys. Starting at 04:00 ET, this tournament has a $25,000 guarantee and a 60-minute late registration period and is the perfect way to start off your Sunday! The bigger guns come out at 08:00 ET with the start of the Sunday Kickoff. With a buy-in of $109, this tournament has a guaranteed prize pool of $100,000. It’s the first major tournament on the schedule every Sunday and the best way to get a piece of the action early. The Sunday Warm-Up is one of the largest weekly tournaments in online poker and your chance to win a share of $500,000. Starting every Sunday at 11:00 ET, this is your chance to win close to $100,000 with only a $215 buy-in. A lot of previous winners include some of the biggest names in poker, so don’t miss out on being next! This one starts at 12:00 ET, just an hour after the Sunday Warm-Up. This rebuy tournament features a $109 buy-in with $100 rebuys and add-on’s, which provide some great action and the chance to win a chunk of the $225,000 prize pool. Usually the prize pools ends up much bigger though, due to all the rebuys and add-ons. With just an $11 buy-in, the Sunday Storm is perfect for players of all levels and bankrolls, especially with the huge guaranteed $300,000 guaranteed prize pool. The Sunday Storm starts every Sunday at 13:30 ET and features special editions during anniversaries and tournament series, where the guaranteed prize pool can reach as much as $1,000,000! 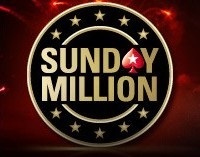 The Sunday Million is the single biggest weekly tournament in online poker, with a guaranteed prize pool of $1,000,000 and a buy-in of just $215. Starting at 14:30 ET, winning this event will bring you a six-figure score and just making the final table can do the same! Hundreds of satellites to this tournament are constantly running, so you have lots of chances to get in without even having to pay $215! One of the most prestigious events in online poker, the Sunday 500 starts at 15:30 ET and features a $300,000 guaranteed prize pool, which usually swells up to at least $400,000. This event features a $530 buy-in and attracts some of the best players out there. There is a very good reason, since it’s one of the few online tournaments where you can score close to a six-figure payday in a field of around 600 players. The Sunday Second Chance is perfect for players who did not make a big score in the Sunday Warm-Up or Sunday Million. With a $215 buy-in, you can get a second chance every Sunday at 16:30 ET with a guaranteed prize pool of $175,000. There are not a lot of big weekly tournaments that feature the action-packed six-player format, but the Sunday Six-Max is one of the biggest. This event is one of the last majors of the week, kicking off at 17:00 ET with $162 buy-in and a guaranteed prize pool of $100,000. With the hyper-turbo structure the Sunday Supersonic is one of its kind. Finishing off the Sunday majors schedule, it can provide you with a huge score in a matter of hours! The tournaments starts at 18:30 ET and features a guaranteed prize pool of $125,000 with a $215 buy-in. The first of the three most recent additions to the major tournaments lineup, the Sunday NLO8, featuring an $82 buy-in and a $30,000 guaranteed prize pool, which makes it the largest Omaha Hi/Lo tournament available online. This tournament is also features progressive knockouts, which means that each player has a bounty on his head and the more players you knock out, the bigger your bounty gets. The second recent addition is a Pot Limit Omaha tournament with an $82 buy-in and a $50,000 guaranteed prize pool. Just like the Sunday NLO8, this tournament features progressive knockouts. The full Sunday schedule has even more major tournaments, most of them featuring a $215 buy-in and different game types like Draw games, Stud and many more, so check out the full schedule in the PokerStars client. 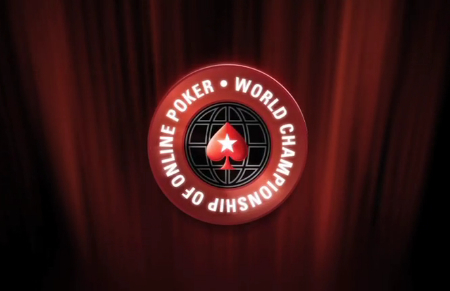 For 12 years now, The World Championship of Online Poker has been the biggest online tournament series the world. With dozens of players becoming instant millionaires thanks to this incredible series, the WCOOP is as good as ever and set to host a $10,000,000 guaranteed Main Event in 2014! 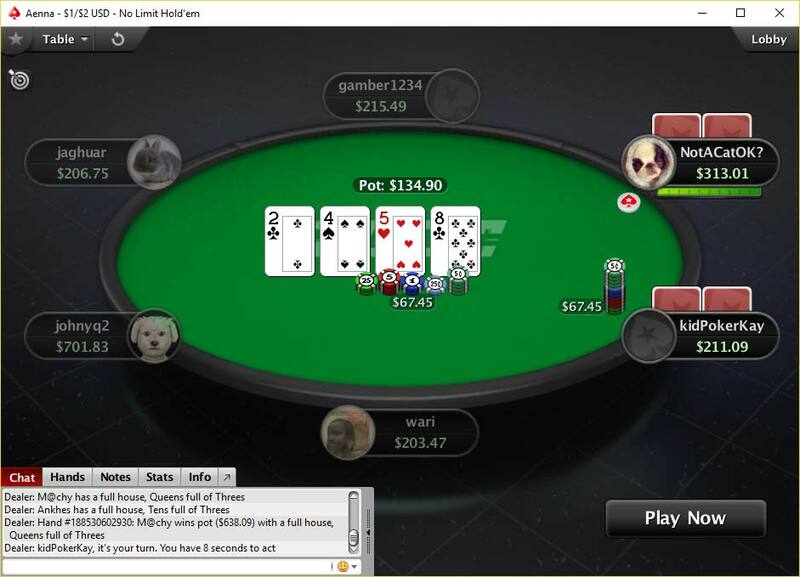 WCOOP Events usually have buy-ins starting from $215 up to tens of thousands of dollars. Don’t worry though, satellites are always running as soon as the WCOOP Events hit the schedule, including special events open exclusively to PokerStars VIPs that include added seats to the prize pool. WCOOP is also the only series to host 2nd Chance events for each of the tournaments in the series. 2nd Chance events for each WCOOP event start three hours after the start of most events and have the same structure and a slightly smaller buy-in. The prize pools in these events reach hundreds of thousands of dollars, so they can be just a valuable as the main WCOOP events. However, these events do not award bracelets or Player of the Series points. All players who win WCOOP bracelets are later awarded at a special ceremony, which is held in a different place every year. Winners receive travel allowance and accommodation to enable their attendance the ceremony. If for some reason the winner is unable to attend the awards ceremony, alternative arrangements are made to ship the bracelet directly to the winner, or, if that is also not possible, the bracelet can be picked up at one of the future PokerStars events. SCOOP started in 2009 and is now one of the best-known series out there. 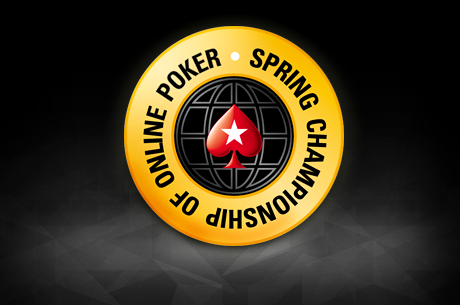 While WCOOP may be the biggest online series in the world buy-in wise, the Spring Championship of Online Poker is the biggest series overall, thanks to its unique structure. The main thing that separates SCOOP from any other tournament series are the separate buy-in levels designed to suit all bankrolls. Each event has three buy-in levels – Low, Medium and High. This allows SCOOP to be the biggest series in the world while offering events with buy-ins during a single series ranging from $5.50 all the way up to $21,000. TCOOP is the Turbo Championship of Online Poker, which was designed especially for MTT players who enjoy turbo structure tournaments. The Turbo format has grown quite a lot in popularity over the last few years and now TCOOP is offering 50 events annually with buy-ins ranging from $7.50 to $2,100. 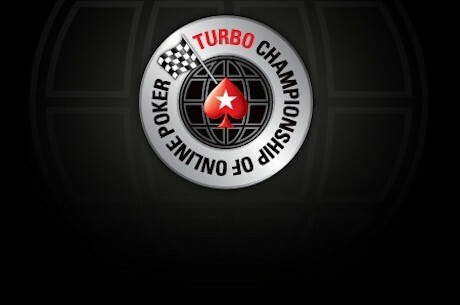 The turbo format is the main difference between TCOOP and other series like WCOOP and SCOOP. While standard blind levels for a WCOOP tournament are 20 minutes long, the blind levels for most TCOOP tournaments are just 5 minutes long. 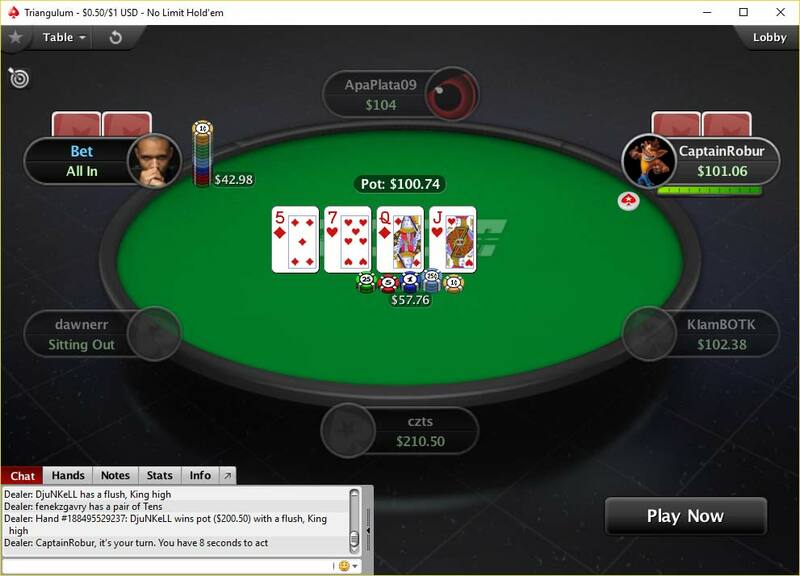 However, all tournaments still provide deep starting stacks, which is what makes the TCOOP series so great. On top of the huge guaranteed prize pools, TCOOP winners also receive a special TCOOP Champion golden colored card protector and all players who make the final table receive silver colored card protectors. There is also a “Player of the Series” leader board which awards SCOOP tickets to the top finishers. 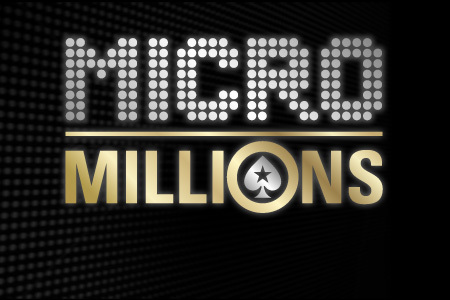 First played in March 2012, MicroMillions has since become the most prestigious low-stakes tournament series. With buy-ins starting from just $0.11, MicroMillions is the ultimate series that allows virtually anyone to play for big prizes. Millions of dollars in prize money is awarded throughout 100 events each time the series runs, with the highlight being the $1 million guaranteed $22 Main Event. In total, tens of millions of dollars have been awarded since the series began. The PokerStars Multi-Table Tournament Leader Board is the best way to show that you are one of the best tournament players in the world. Every time you place in the top 15% of any regular MTT on PokerStars, you are awarded TLB (Tournament Leader Board) points. The amount of points you receive varies depending on the buy-in, number of entrance in the tournament and your eventual finishing position. Don’t forget though, that Sit & Go tournaments with less than 40 players and satellite tournaments don’t count towards these rankings. b is the buy-in amount in US Dollars, excluding the entry fee. For freerolls the buy-in is $0, and for FPP tournaments 1 FPP is counted as $0.0161. Your 10 best results from all of the tournaments played between 12:00:00 am Sunday and 11:59:59 pm Saturday are included in the weekly TLB. Each week, the winner of the weekly leader board gets to play against a member of Team PokerStars Pro in a heads-up match the following Sunday. The match starts at 14:00 ET and the TLB winner gets to choose the game. The prize pool starts at $1,000 and carries over to next week’s if the Team PokerStars Pro wins the match. The Monthly Tournament Leader Board takes 20 of your best results from the tournaments played between 12:00:00 am ET on the first day of the month and 11:59:59 pm ET on the last day of the month. T$40,000 in prizes are up for grabs for the top 1,000 players of each monthly leaderboard, with the first place finisher getting T$2,000. T$ are tournament dollars exclusive to PokerStars. While they cannot be cashed out, they can be used to buy into any tournament or Sit & Go. The Yearly Tournament Leader Board offers the best prizes any tournament players can ask for. This leaderboard takes your best 100 results from tournaments played between 00:00:00 ET on January 1 and 11:59:59 ET on December 31. More than $200,000 worth of PokerStars Passports are awarded to the top ten finishers, with the winner getting a PokerStars Passport worth $50,000. The PokerStars Passport can be used to buy-in into any PokerStars-sponsored live event or online tournament series like the WCOOP or SCOOP. Players’ Choice Satellites are weekly qualifiers that offer €1,500 packages (€1,100 entry plus €400 expenses) that are valid for all Main Events in the Estrellas Poker Tour, Eureka Poker Tour, France Poker Series and UK & Ireland Poker Tour. Players have a lot to choose from with more than 10 eligible live events per year in three different tours. Satellites are running every week starting on Wednesdays at 16:05 ET with a buy-in of €215. Qualifier tournaments are also available and start from just €2.22. SilverStar VIPs and higher have the opportunity to qualify for PokerStars sponsored live and online tournaments thanks to the VIP Bash satellites. These qualifiers run approximately once per month and feature huge guarantees that allow PokerStars VIPs more chances to win entry into special events. 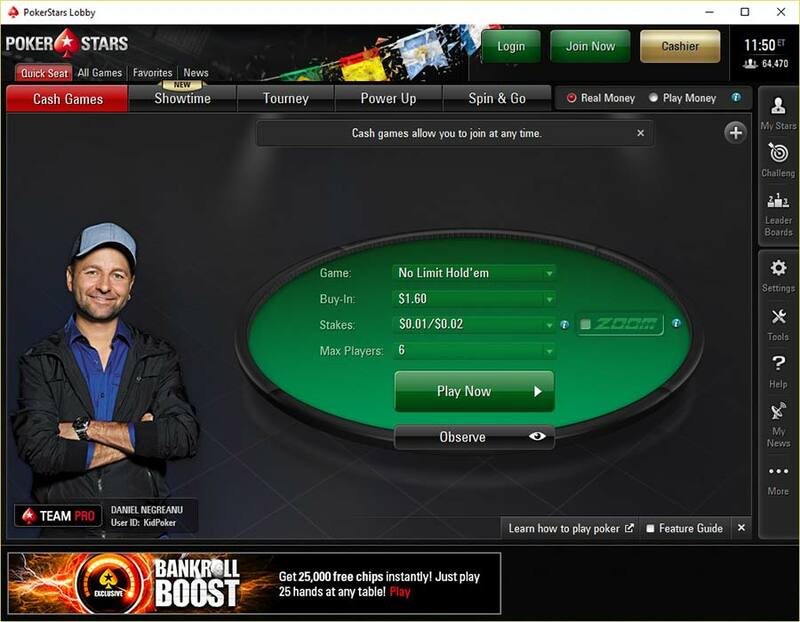 All of the VIP Bash satellites can be found in the PokerStars lobby by selecting “Tourney,” then “VIP,” and finally the “All” tab. Players must be 18 years of age or over the legal age of majority in their resident jurisdiction to participate in the PokerStars promotion. 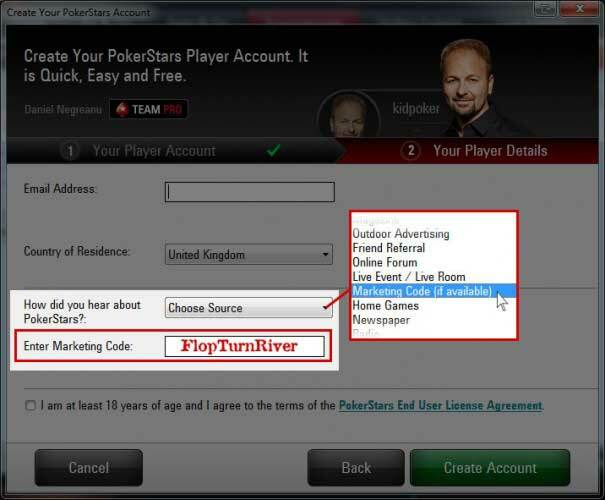 A player may be asked at any stage to provide PokerStars with proof of age or address. Any player unable to produce such proof of age as and when requested will be disqualified from any promotions. If you cash out any amount from your PokerStars account during the bonus period, you will be unable to make further qualifying deposits. However, any existing bonus you have will be unaffected. 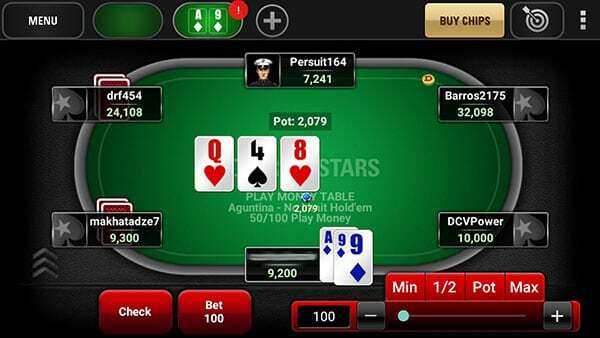 Full Tilt Poker cashouts are counted, and will make you ineligible for bonus installments. You may only take advantage of one of our first deposit offers, however you may take advantage of any other bonus that is open to all players. You can check for eligible bonuses by visiting the ‘My Bonus Status’ section of the Cashier. PokerStars has the widest varieties of bonuses available to players, along with one of the best clearance rates for the First Deposit Bonus. Along with all the additional promotions and the best and biggest tournament series in online poker, PokerStars is definitely the best choice for new players, as well as experienced grinders. If you don’t have an account yet, you can sign up here!